It’s been another fun week with real estate on Sanibel Island. Between showings, offers, and inspections, The SanibelSusan Team is enjoying the end-of-season rush! In typical late-March fashion, many island soon-departing snowbirds, visitors, and owners are scurrying to take care of local real estate needs before heading home. The action posted since last Friday in the Sanibel & Captiva Multiple Listing Service follows a few news items below. Many new sales are reported, with fingers crossed for even more to report next week. As posted today on FloridaRealtors® and sourced to The Advocate, Baton Rouge, La., Bryn Stole. Distributed by Tribune Content Agency, LLC. “WASHINGTON – March 23, 2018 – The National Flood Insurance Program (NFIP) got a four-month reprieve as part of a massive $1.3 trillion federal spending deal unveiled late Wednesday evening and signed by President Trump on Friday – the fourth temporary extension of the program since September. “But lawmakers on Capitol Hill now face a July deadline to either overhaul the NFIP, extend it again – or let it lapse in the midst of hurricane season. That could put added pressure on Congress to hammer out a deal on how to shore up the debt-laden federally run insurance program. A compromise on the program has so far been elusive. “Negotiations between budget hardliners and coastal lawmakers have yielded little in the way of progress over the past few months and legislation to overhaul the program has languished in the U.S. Senate. “Budget hawks have pushed changes to the NFIP that would dramatically raise rates on many high-risk homeowners who currently pay below-market premiums and shrink the program by booting some properties that have repeatedly flooded. “Lawmakers from flood-prone areas – including Louisiana’s congressional delegation – have fought furiously against most of those proposals, concerned about how those kinds of abrupt reforms could wipe out homeowner equity and put flood coverage out of reach of many constituents. “The proposed July extension for the National Flood Insurance Program left at least some Louisiana members of Congress worried that it would give critics of the program – led by retiring House Financial Services Chairman Jeb Hensarling, R-Texas – a chance to push through changes to the program that would hurt south Louisiana policyholders. “But others were more hopeful that the looming deadline and Senate resistance to some of Hensarling’s proposals could result in a more favorable long-term deal on the program. “The NFIP was initially set to expire at the end of September. But Congress has repeatedly punted on the issue with a series of short-term extensions tied to so-called “continuing resolutions” – or short-term deals to keep the federal government running. “Tying the NFIP’s fate to government funding has given congressional leaders leverage to force through extensions of the program because derailing the broader package would result in a broader federal government shutdown. Youth Fishing Derby – March 31, Saturday, on Island A of Sanibel Causeway (1st island next to high span), registration at 8:30 a.m., fishing begins at 9 a.m. Hosted by The Sanibel Island Fishing Club in cooperation with Lee County Parks & Recreation Department, the “Ding” Darling Wildlife Society and several other local organizations. Age groups are 9 and under, and ages 10 to 15. More info at 847-456-4650. “The new law revises Ch. 494, Florida Statutes, governing non-depository loan originators, mortgage brokers and mortgage lender businesses subject to regulation by the Office of Financial Regulation to provide greater consumer protections. In some cases, the changes could impact the way home flippers finance repairs using a short-term loan before re-selling a property. “The law is the Florida Legislature’s response to alleged unlicensed mortgage lending activity in South Florida. According to reports, some lending entities provided residential loans with usurious interest rates and high fees made under the guise of business purpose loans in order to avoid licensure and disclosure requirements under Ch. 494, F.S., as a mortgage lender. In some cases, they allegedly forced the borrower to form a limited liability company if they wanted the money. Effective date: July 1, 2019. “This law requires homeowner insurance policies to disclose in bold, 18-point font that the policy does not cover flood damage. It expands the current required notice regarding flood insurance to include notice that the purchase of homeowner’s insurance does not cover floods, even if hurricane winds and rain caused the flood to occur. The notice will appear upon initial issuance and in each policy renewal. Effective date: Jan 1, 2019. 6 new listings: Loggerhead Cay #422 2/2 $535K, Sunset South #6D 2/2 $695K, Lighthouse Point #212 2/2 $769K, Seawind II #5 2/2.5 $825K, Compass Point #183 2/2 $1.295M, Poinciana #2B 3/2 $1.45M. 6 price changes: Blind Pass #B211 2/2 now $449K, Cottage Colony West #116 1/1 now $625K, Cottage Colony West #108 1/1 now $644.9K, By-The-Sea #C102 2/2 now $1.299M, Island Beach Club #230D 2/2 now $1.395M, White Pelican #133 now $1.989M. 6 new sales: Mariner Pointe #521 2/2 listed at $475K, Kimball Lodge #303 1/2 listed at $595K, Lighthouse Point #321 3/2 listed at $679K, High Tide #C101 2/2 listed at $899K, Gulfside Place #222 2/2 listed at $1.15M (our sale), High Tide #B102 2/2 listed at $1.795M. 2 closed sales: Sand Pointe #215 2/2 $690K, By-The-Sea #B202 2/2 $1.15M. 9 new listings: 956 Dixie Beach Blvd 2/1 $449K, 9477 Peaceful Dr now $519K, 1643 Sand Castle Rd 3/2.5 $549K, 1338 Tahiti Dr 2/2 $565K, 1805 Ibis Ln 2/2 $569K, 721 Cardium St 2/2 $849K, 1244 Par View Dr 4/3 $1.149M, 2622 Coconut Dr 5/3.5 $2.799M, 1069 Bird Ln 4/3.5 $5.495M. 12 price changes: 9477 Peaceful Dr 3/2 now $519K, 958 Sand Castle Rd 3/2 now $595K, 1190 Sand Castle Rd 3/2 now $625K, 225 Daniel Dr 3/2.5 now $699K, 1183 Kittiwake Cir 3/2 now 768.9K, 1807 Serenity Ln 3/2 now $789K, 9446 Beverly Ln 3/3.5 now $799K, 239 Daniel Dr 3/2 now $998K (our listing – photos below), 1304 Eagle Run Dr 3/3 now $1.1M, 1672 Hibiscus Dr 3/2 now $1.159M, 519 Kinzie Island Ct 3/2.5 now $1.195M, 2479 Blind Pass Ct 3/2 now $1.25M. 11 new sales: 1040 Sand Castle Rd 3/2 listed at $549K, 958 Sand Castle Rd 3/2 listed at $595K, 601 Sea Oats Dr 3/2 listed at $659.9K, 474 Lake Murex Cir 3/2 listed at $674.9K, 5280 Umbrella Pool Rd 3/3 listed at $675K, 9448 Begonia Ct 3/2.5 listed at $699K (our listing), 5410 Osprey Ct 3/2.5 listed at $799K, 1120 Shell Basket Ln 4/2 listed at $895K, 536 Lighthouse Way 4/4.5 listed at $2.995M, 4171 West Gulf Dr 3/2 listed at $3.248M, 1008 Bayview Dr 4/4.5 listed at $3.595M. 5 closed sales: 1029 Dixie Beach Blvd 2/2 $410K, 2005 Mitzi Ln 2/2 $525K, 5301 Ladyfinger Lake Rd 3/2 $625K, 3323 Twin Lakes Ln 3/3 $730K, 3010 West Gulf Dr 3/2 $745K. 1 new listing: 1305 Seaspray Ln $795K. 2 price changes: 5821 Pine Tree Dr now $499K, 976 Whelk Dr now $689K. 1 new listing: Sunset Captiva #103 2/2/2 $999K. 1 new listing: 11534 Laika Ln 4/3.5 $1.799M. 1 new sale: 9 Sunset Captiva 3/2 listed at $1.299M. A steady increase in traffic is noticeable here on the island, which we expect to continue through Easter. The weather has been great this week, but an additional cold front is expected to arrive this weekend and is due to stay around all next week. Wednesday morning low looks to be in the 30’s. 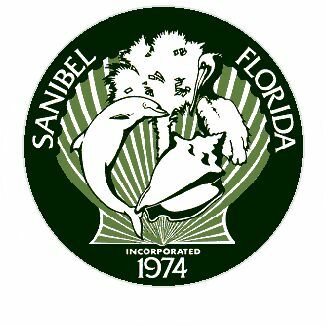 The City of Sanibel Boat Ramp Rehabilitation project is complete and now open to the public. The project consisted of removal and replacement of the deteriorated concrete boat ramp. The completed boat ramp includes modified slopes for improved boating access and a new v-groove pattern for added vehicle traction. The dock walkways were widened and a railing added for safety. Parking at the boat ramp is available as paid hourly or through a valid Sanibel “C” parking pass. 4 new listings: Sundial West #J307 2/2 $759K, Surfside 12 #A1 3/2 $799K, Sanibel Arms West #D5 2/2 $849K, By-The-Sea #B202 2/2 $1.249M. 6 price changes: Lighthouse Point #220 2/2 now $450K, Mariner Pointe #521 2/2 now $475K, Sanibel Arms West #H2 2/2 now $499K, Mariner Pointe #1061 2/2 now $589.9K (our listing), High Tide #C101 2/2 now $939K, Gulfside Place #123 2/2 now $1.248M. 1 new sale: Blind Pass #D105 2/2 listed at $419K. 4 closed sales: Sundial West #G105 1/1 $425.1K, Loggerhead Cay #153 2/2 $870K, Sanibel Moorings #1221 3/2.5 $965K, By-The-Sea #9 3/2 $1.749M. 8 new listings: 6143 Henderson Rd 4/3 $489K, 1169 Sand Castle Rd 3/2 $679K, 1550 Centre St 4/3 $725K, 1245 Anhinga Ln 3/2 $875K, 938 Pecten Ct 3/2.5 $1.195M, 569 Lighthouse Way 3/3 $1.395M (our listing), 4641 Belle Mer 3/2.5 $3.295M, 1310 Seaspray Ln 4/4 $5.795M. 6 price changes: 3784 Coquina Dr 3/3 now $625K, 9446 Beverly Ln 3/3.5 now $874.5K, 1470 Angel Dr 3/2 now $920K, 5402 Osprey Ct 4/3 now $1.025M, 1672 Hibiscus Dr 3/2 now $1.249M, 2167 Starfish Ln 4/4.5 now $1.975M. 8 new sales: 9292 Kincaid Ct 3/2 listed at $489K, 5301 Ladyfinger Lake Rd 3/2 listed at $649K, 1323 Par View Dr 3/2 listed at $649K, 1513 Sand Castle Rd 3/2.5 listed at $689K, 1314 Par View Dr 3/2 listed at $800K, 1341 Sand Castle Rd 3/2 listed at $845K, 1035 Kings Crown Dr 4/3 listed at $1.7495M, 547 Kinzie Island Ct 4/4.5 listed at $1.789M. 4 closed sales: 1312 Par View Dr 3/2 $685K, 700 Nerita St 3/2 $675K, 932 Whelk Dr 3/3 $1.15M, 3869 West Gulf Dr 6/7/2 $7.8M. 7 new listings: 1313 Par View Dr $365,555; 809 Pyrula Ave $475K; 217 Violet Dr $575K; 3304 Saint Kilda Rd $699K; 6000 White Heron Ln $169K; 0 Sawgrass Pl $949K; 1321 Seaspray Ln $995K. 3 price changes: 2486 Wulfert Rd now $169K, 0 Island Inn Rd now $279K, 5251 Indian Ct now $729K. 1 new listings: Beach Villas #2621 2/2 $650K. 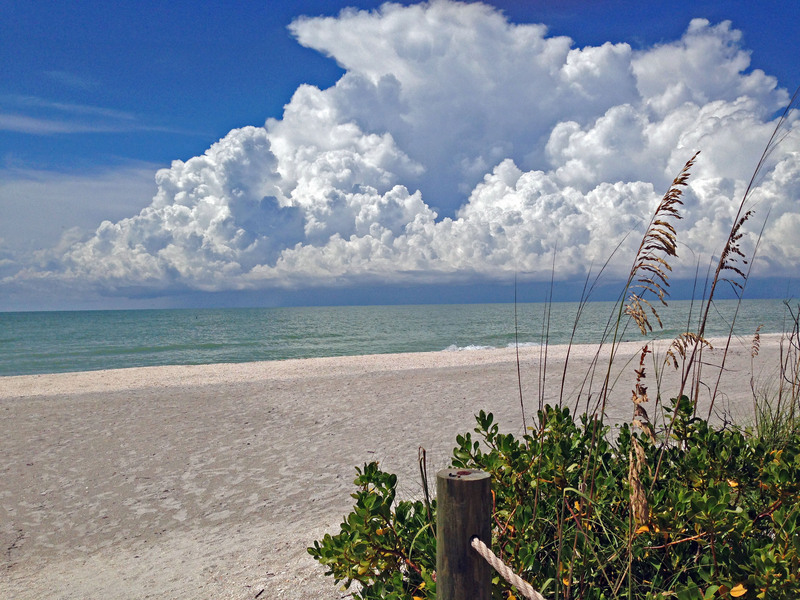 3 closed sales: Sunset Captiva #201 2/2 $830K, Beach Homes #7 2/2 $1.4M, Beach Homes #8 4/3 $2.35M. 1 new listing: 10 Sunset Captiva Ln 2/2.5 $989K. 1 price change: 11509 Chapin Ln 4/4 now $2.149M. 2 new sales: 15154 Wiles Dr 4/3 listed at $1.495M, 16167 Captiva Dr 4/3 listed at $1.595M. 1 closed sales: 14865 Mango Ct 2/2 $850K.